Over 100 improvised bombs and grenades were hurled at Israeli troops during Friday’s riots at the Gaza border, the military said Saturday. The army released footage of the violent demonstrations, which it said were the worst in two months, depicting attempts to breach and sabotage the security fence. It also said IDF forces were still engaged in the controlled detonation of unexploded bombs and grenades. Meanwhile in Gaza Saturday funerals were held for the seven Palestinians killed in the previous day’s violence, including two teen boys. 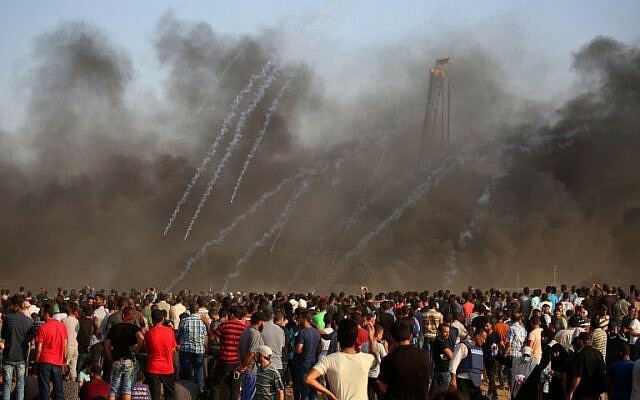 Tens of thousands of Palestinians protested along the Gaza border fence, throwing hand grenades, bombs, rocks, and burning tires in clashes with IDF troops, who responded with tear gas, live fire, and air strikes. רימונים שנזרקו אותם לעבר כוחותצהל במהלך הפרות הסדר בגבול הרצועה. הפיצוצים שיישמעו בשעות הקרובות בעוטף עזה תוצאה של נטרול וזיכוי המטענים שנזרקו אותם לכיוון החיילים. The protest was one of the largest and most violent in recent weeks and comes following the break down of indirect talks with Israel over a cease-fire and warnings that the terror group Hamas, which rules Gaza, was gearing up for another conflict. 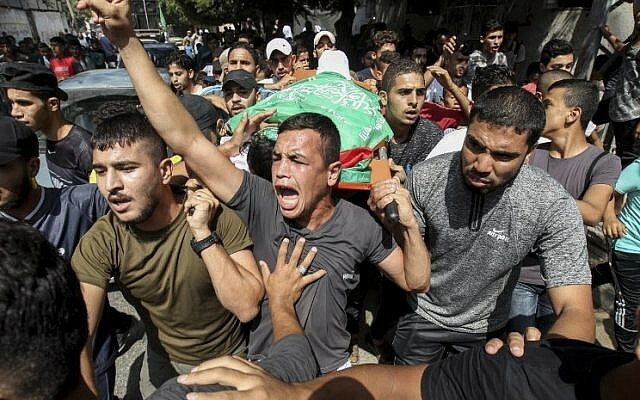 Seven people were killed, including a 12-year-old and a 14-year-old, and at least 210 Palestinians were wounded, including an 11-year-old boy, who was in a serious condition, according to the Hamas-run Gaza health ministry. It said 90 of the wounded were hit by live fire. The ministry identified three of the dead as Nasser Mosabih, 12, Mohammed al-Houm, 14, and Iyad Al-Shaar, 18, and said they were shot. The other four were in their twenties. The IDF said about 20,000 Palestinians took part in violent protests, spread out among a few locations along the Gaza security fence. In two cases IAF aircraft carried out strikes against grenade throwers, the army said, noting there were no injuries to IDF forces. One of the strikes was on a Hamas post, the army said. IDF troops also responded with tear gas and other less-lethal riot dispersal means as well as live fire “in accordance with the rules of engagement,” the army said. Also, Palestinians launched several fire balloons into Israel, causing at least 16 blazes near Israeli towns near the Gaza Strip, a spokesman for the Israeli Fire and Rescue Services said. Firefighters were working to extinguish them. Hamas, which rules the Gaza Strip and actively calls for Israel’s destruction, has increased the pace of rioting and demonstrations against Israel, and created new units tasked with sustaining tensions along the border fence including during nighttime and early morning hours. Almost every evening, thousands of Gazan’s now gather for violent demonstrations at the Erez crossing and elsewhere, as part of Hamas’s attempts to signal to Israel that it wants an economic solution to the Gaza Strip. The Egyptian efforts to reconcile Hamas and Fatah have not borne fruit at this stage, and the possibility of a long-term ceasefire with Israel has apparently stalled, Thursday’s analysis by Times of Israel’s Avi Issacaharoff said. The economic situation has once again reached an unprecedented low, stoking fury among Gazan’s that is being directed against Israel, the PA, Hamas, and even Egypt. On Friday, the Haaretz daily quoted Israeli security sources as saying that Hamas is preparing for war, bolstering its forces significantly over the past few weeks. That assessment is not new, IDF sources told Haaretz, having warned repeatedly that the situation is more likely to escalate than to calm down. However, recently the army noted that the terror group appears to actively be readying itself for a limited conflict with Israel. It is only a question of when Hamas will decide to go to war, the paper said. Israeli officials believe there are two main causes pushing Hamas toward military escalation, the newspaper report said — the failed reconciliation talks with PA President Mahmoud Abbas’s Fatah party, which controls the West Bank and has maintains a choke hold on Gaza’s finances in a bid to pressure Hamas to cede control of the territory; and the ongoing humanitarian crisis of the enclave under the Israeli-Egyptian blockade, made worse in recent months by the US slashing its aid to the PA and its funding for UNRWA, the UN body responsible for the welfare of Palestinian refugees, which funds schools and major relief projects in the Strip. The surge of violence in Gaza began in March with a series of protests along the border that were dubbed the “March of Return.” The clashes have included regular rock and Molotov cocktail attacks on troops, as well as shooting and IED attacks aimed at IDF soldiers and attempts to breach the border fence. Gaza protesters have also launched incendiary kites and balloons into Israel, sparking fires that have destroyed forests, burned crops, and killed livestock. Over 7,000 acres of land have been burned, causing millions of shekels in damages, according to Israeli officials. Some balloons have carried improvised explosive devices. Israeli fire has killed at least 140 Palestinians during the protests since late March, according to AP figures. Hamas has acknowledged that dozens of the fatalities were its members. Prime Minister Benjamin Netanyahu revealed a cache of documents he says proves Iran lied to the world about its nuclear program, even after the nuclear deal with the world. “Iran did not come clean about its nuclear program,” Netanyahu said in a prime time address in English. Netanyahu referred to a secret Iranian nuclear project, codenamed “Amad,” which he said had been shelved in 2003, though he said work in the field had continued. During ongoing reconciliation talks between Hamas and PA President Mahmoud Abas’ Fatah group, a key demand has been for Hamas to hand it’s weapons over to the control of the PA, a move Hamas has firmly rejected. 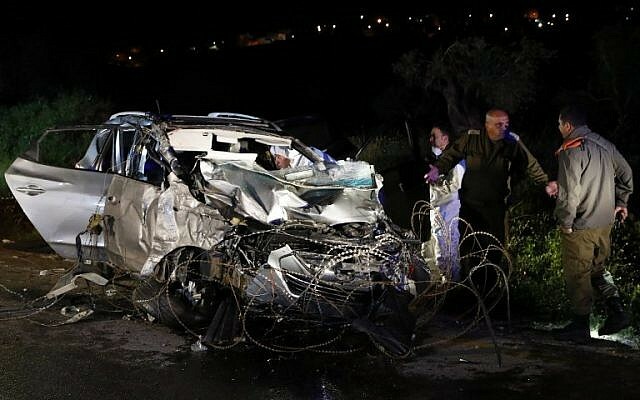 Talal Abu Zarifeh, a senior representative of the Democratic Front for the Liberation of Palestine, one of several PLO terror factions, said that the car-ramming attack was a “natural response to Israeli crimes” and a sign that the uprising was continuing. The Popular Front for the Liberation of Palestine, another PLO terror group, said that the attack had “trampled Trump’s decision on Jerusalem – 100 days since he announced it.” The attack proves that the Palestinians are alert and prepared to thwart this decision and any other scheme targeting our cause and existence,” the group added. On Twitter, some Palestinians launched a hashtag called “The Jenin Operation,” where they heaped praise on the attacker, identified as Ala Qabha, 26. Some Palestinians also said they believed the attack came to avenge the killing of Ahmed Jarrar, the Hamas terrorist who killed Rabbi Raziel Shevach in the northern West Bank earlier this year. Jarrar, a resident of Jenin, was killed by IDF troops in early February. The Palestinian Authority had not commented on the attack. The IDF confirmed that the incident was a terror attack. It said the troops were hit while standing near a military guard post Friday afternoon. One of the victims was pronounced dead at the scene. A second died a short time later, after attempts to save his life failed. One of the injured soldiers suffered severe head trauma and was fighting for his life. A second soldier was in serious condition. 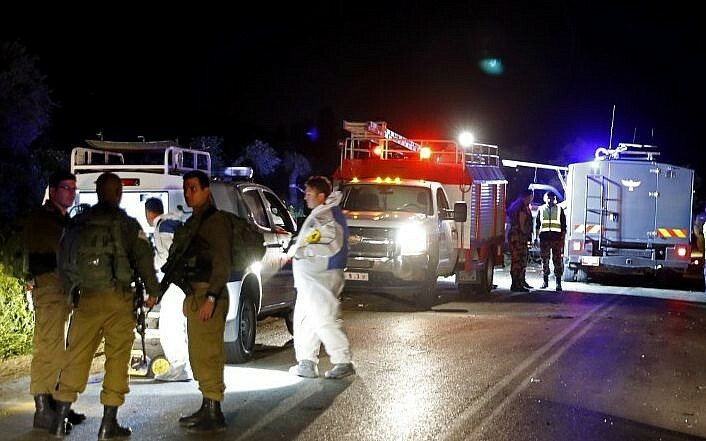 The driver, Qabha, 26, of the village of Barta’a in the northern West Bank, was injured and taken to hospital, where he will be questioned, the army said. A second Palestinian man was treated by the Palestinian Red Crescent medical service. It was not immediately clear how he was involved. Haaretz reported that Qabha was released from Israeli prison in April of last year after completing a 17-month sentence, though there were no immediate details on his crime. According to Hadashot news he was incarcerated for security-related activities. Palestinian media reported that military forces searched the Qabha family’s home in Barta’a and questioned family members following the attack. Qabha’s brother was arrested, and the Israeli work permits of several family members were revoked. Meanwhile Qabha’s family claimed the incident was an accident and not an attack, with one relative telling Haaretz that the young man was a painter, and had been on his way home from Jenin after buying supplies. “He’s not politically affiliated and doesn’t belong to any organization,” he said. In its editorial on Sunday, Haaretz railed against the annual population report issued by the Central Bureau of Statistics in honor of Independence Day. The editorial states that the CBS counts Jews who live in the West Bank as though they “reside in Israel,” even though they don’t, technically. By listing Israeli citizens who live in the West Bank but omitting the 2 to 3 million Palestinian non-citizens who reside there, the chief statistician is “erasing the Palestinians” and misleading the country about the size of the Jewish majority, the editorial says. I can imagine Israeli readers of the article scratching their heads and trying to make heads or tails of it. What are these people at Haaretz on about? Israelis have been counting Jews and discounting Palestinians in the West Bank since time immemorial. We don’t need the chief statistician to “erase” Palestinians for us, because we erased them from our minds a long time ago, along with the military occupation under which they live. In Israel 2017, on the eve of the 69th Independence Day, a full five decades after the territories were captured, it’s become second nature. And while older Israelis still have to make an effort to believe the occupation doesn’t exist, the illusion comes altogether naturally for younger Israelis. The Forward reported this week on a poll published in Fathom, the research journal of the Britain Israel Communications and Research Centre, which showed that younger Israelis are increasingly unaware that the West Bank and the Jewish settlements aren’t actually part of Israel proper. Only 40 percent of those aged 18 to 29 knew that Israel had not declared sovereignty in the West Bank. Only 32 percent knew that the city of Ariel was not situated inside sovereign Israeli territory. One has to be over 50, it seems, and preferably over 60, to know even the most basic facts about the geography of the Israeli-Palestinian conflict. After that, one can start to deny them. But it’s not enough to be ignorant about the status of Jewish settlements in the West Bank. That’s one part of the equation. The other is to not hear anything about the Palestinians either. The only news reports Israelis are likely to be exposed to concerning the millions of Palestinians living under their army’s military control are those linked to terrorist activities, real or suspected. Scour as many Israeli newspapers as you want – besides Haaretz – and monitor television newscasts 24/7, you won’t pick up a word about economic hardships, nightly military raids, the absolute dependence on the Civil Administration, the need for a permit for everything under the sun, the roadblocks, the humiliation, the frustration, the feeling of impotence or any of the other thousand and one indignities that go along with living under occupation. It’s going on right under their noses, but none of these things are ever brought to the attention of most Israelis. And if they are, they go in one ear and come out the other. Even the word occupation – in Hebrew “kibush,” which also means conquest – is rarely mentioned outside of Haaretz and unabashedly left wing circles. It is politically toxic, because it implies that Israel’s presence in the territories is alien, foreign, even temporary. Although Prime Minister Benjamin Netanyahu once endorsed the establishment of two states, his coalition partners view the territories of Judea and Samaria, otherwise known as the West Bank, as a divine birthright and an integral part of Israel, other than in the most tactically expedient terms. Anyone who utters the word “occupation” is automatically branded as suspect. NGOs such as B’Tselem and Breaking the Silence that try to point out the injustices that are the inevitable byproduct of any military occupation are marked and targeted as traitors. This willful blindness is convenient for everyone – and by everyone, I mean most Jewish Israelis. It absolves us of the need to reckon with 50 years of disenfranchisement. It allows those of us who might otherwise be bothered to sleep well at night. And it allows us to celebrate Independence Day as if we were as innocent and just as the righteous few against the malevolent many – just like we were in 1948, 1967 and 1973, and at Entebbe, in Lebanon and in Gaza. Even if we weren’t. Denial of the occupation is a godsend for the right wing. It allows firebrands and rabble-rousers to whip up hostility toward Israelis who, if there is no occupation, are making a big deal about nothing, blaming Israel for crimes it could not have committed and spreading blood libels about innocent Jews, like the worst anti-Semites. It allows Netanyahu to constantly stir resentment against a hostile if not anti-Semitic world, which singles out Israel unfairly, it is alleged. All this, despite the fact that the 50-year occupation of the West Bank and control over the Palestinians are, in the real world, quite unique. No other Western democracy holds millions of foreigners under military rule, no other enlightened nation keeps another people permanently disenfranchised, no other country seems to think that this situation can go on forever, because the Palestinians can’t be trusted or must be punished or are incapable of being independent. Because if there is no occupation, then what in God’s name does the world want from us? If there is no occupation, then the Boycott, Divestment and Sanctions Movement is definitely anti-Semitic. If there is no occupation, The New York Times is peddling fake news and Haaretz is an agent of Hamas. If there is no occupation, Europe has learned nothing since the Holocaust. If there is no occupation, any Palestinian resistance – from terror attacks, stabbings and throwing stones to peaceful demonstrations, calls for boycotts and op-eds in Western newspapers – are all unjustified and worthy of punishment. If there is no occupation, there is no reason for German foreign ministers to meet with Breaking the Silence, nor for the United Nations to obsessively deal with Israel. This is exactly the way the Israeli government and most of the public regard these phenomena. They have repressed awareness of the occupation for so long, they cant remember its existence anymore. There are many other benefits to erasing the occupation. If there is no occupation, one doesn’t have to deal with its lingering effects on Israeli psychology or behavior. If there is no occupation, one can’t claim that it is eroding democracy, promoting brutishness, fueling intolerance or nurturing racism. If there is no occupation, then all of the illnesses that are plaguing Israeli society are not the outcome of 50 years of imposing military rule over another people, but forces of nature, which the government – of course – can do nothing to stop. There are many people, groups and organizations that contribute to the erasure of the occupation. We have many willing accomplices in maintaining the no-occupation facade. Besides the politicians, the settlers, the religious establishment, the media and the civil service, even the leaders of the opposition – who are afraid to say “kibush” lest they be castigated as wishy-washy leftists – much of the U.S. and most of the American Jewish establishment are in on the act. At AIPAC conferences, 99 percent of the deliberations are about Israel’s enemies, including the Palestinians-as-terrorists, and only 1 percent are about the occupation and Palestinians-as-occupied – and that’s only on good years. The Republican Party never mentions the occupation, nor does our new superhero, U.S. Ambassador to the UN Nikki Haley, who may not be aware that there are millions of people who have been deprived of their rights for decades. At least, she never seems to mention them. When you think about it, it’s nothing less than a miracle, even if it is a malignant one. We are the perfect Occupation Nation precisely because we don’t even notice it exists. It’s an occupation without all the nasty side effects, a medical marvel that ranks right up there with making the desert bloom, beating five Arab armies in the Six Day War, ingathering exiles from Russia and Ethiopia and, the most recent of our marvels, Start Up Nation. Even though Jerusalem is less than 10 miles from Ramallah and Tel Aviv is only 30 miles from Nablus, the Palestinian cities might as well be on the North Pole. Israelis have no choice but to notice the wall that separates them from the other side, but they have no idea and show no interest in finding out what’s going on there. The Palestinians are like the residents of the science fictional town of Chester Hill, who are living under the dome. Unlike the TV program, however, no one is trying to break in from the other side to set them free. This miracle of Occupation Nation is made possible, of course, by virtue of some of the other miracles that Israel is associated with. Its stellar army, which devotes so much time and energy to keeping Israelis safe and Palestinians subdued; its unparalleled security services, which manage the population from inside and out in order to prevent it from getting too restive; and of course, our technological whiz kids, who provide the surveillance and intelligence abilities to locate dangerous elements and neutralize them before they do harm. The Israeli army’s requirements seed Start Up Nation, and Start Up Nation returns the favor by enabling the See-No-Occupation Nation. The relative quiet in the West Bank, which is occasionally marred by violence that is quickly contained, theoretically gives a rational Israeli government an opportunity to try and achieve peace. It’s easier to make concessions and reach an agreement when you can convince your own people that the other side is also seeking a diplomatic solution, and it is much harder to do so when violence makes nationalist feelings run wild. But it’s a vicious circle, because when there is no violence, there is no impetus for the government to do anything, especially when said government, like the current one, prefers to keep things just as they are. No one wants to encourage violence, of course, but it is a historical fact that the first intifada paved the way to the Oslo Accords and the second intifada led to the disengagement from Gaza. Years of relative quiet, in which Israelis were happy to erase the occupation from their consciousness, have never led to anything except, eventually and inevitably, heartache and bloodshed. Israel Says It Is Not Ready To Confront Hezbollah’s Rockets? Titled “Israel: The home front is not ready to face the Hezbollah rockets,” Ali Haider wrote in the “News”: Ten years after the 2006 war, and three bloody military confrontations against the Gaza Strip, Israel acknowledged that the home front is not ready to face the Hezbollah rockets, and that the government and the leadership of the army’s performance has not lived up to the level of threat that shaped tunnels Gaza Strip. Naeem Abbas: I do not desire that I have judged! Start a sit-transport unions .. beware these roads! Weapon of mass destruction of Hezbollah? “The state comptroller,” announced that the Israeli home front is not ready to face the Hezbollah rockets, ten years after the July aggression. Although the state comptroller’s report dealt with the readiness of the home front during the recent aggression on the Gaza Strip. However, the notes and warnings, which involved them, targeting mainly the willingness to confront Hezbollah on its northern front. He Amos Harel, military affairs commentator in the newspaper “Haaretz”, that this concept is based on the fact that there is no similarity between the seriousness of the threat posed by Hezbollah on the domestic front and fronted by Israel in the recent war with Hamas. The paper warned of the lack of understanding of the threat to Israel from its northern front, in light of Hezbollah’s possession of tens of thousands of rockets that have part of it accurate and extents cover all occupied Palestine. Can not be separated between the conclusion of the Israeli newspaper, and understood by policymakers and security decision in Tel Aviv that Hezbollah, despite the concern to confront the threat posed by terrorist groups and infidels, we still have the will of the decision to activate its capabilities in the event of Israel to overcome some of the red lines that have evolved during the past years. The “Haaretz” that the deep gap between the facing Israel on its northern front and facing the South forehead, which could explain the gap between the Israeli discourse firm against Hezbollah, and approaches the operational disorderly and justification for Israeli Prime Minister Benjamin Netanyahu, who as much as possible try to avoid the outbreak war with the party. And Chi-sum referred to by Harel that cost calculations and feasibility of any war with Hezbollah is preparing strongly in the consciousness of policymakers and security decision in Tel Aviv, and explain a lot of the vocabulary of the political and operational performance. Report of the State Comptroller for the home front put through the process of “steadfast shelf” against the Gaza Strip, is only a pre-emptive strike preliminary final report, which is supposed to be released in January, which will address the core issues that have held the opinion of the Israeli public, and formed the focus of disputes between Netanyahu’s hand and all of the ministers at the time of Naphtali built and Yair Lapid and Tzipi Livni. These issues revolve around preparing for the threat of tunnels, and the performance of the cabinet in the war, and the image of intelligence and other dimensions. In the case of the internal front, the prime minister was not the central goal of the criticism of the State Comptroller’s report, but the criticism focused on the leadership of the army and the Ministry of Security and former its Minister Moshe Ya’alon. The report included a series of flaws, starting with the work of the Cabinet and the government and the end of the field activity. The report, in this context, that the Cabinet as the observer, not until June held this year a broad discussion about the preparations of the home front’s meeting, given that this issue is one of the most critical questions by Israel in any future battle against Hezbollah in Lebanon or against the Gaza Strip. As for Netanyahu, Vtantzerh three personal notes in the main report, relate not to study alternatives to war, and the failure to involve the cabinet in the seriousness of the threat of tunnels and lack of control on the army’s preparations for the threat. On this issue, Netanyahu still ran a focused campaign to influence the final report of the observer, Joseph Shapira, next month, in order to soften the draft version of the semi-final. Although Shapira aware that he would be a media attack by the vicinity of the prime minister, but he skewered to the Ministerial Council on ways to warn and protect the population in Israel, especially in light of the expectations of their exposure in any future war with Hezbollah for tens of thousands of rockets, at the time still in it Department of defense systems and objection is not valid, and a large section of public and private shelters is not ready to meet the expectations. He pointed to the observer that since the government decided to reduce the differences in fortify buildings, partly implemented, and in some places has never carried out, which prevented achieve equality at this level. 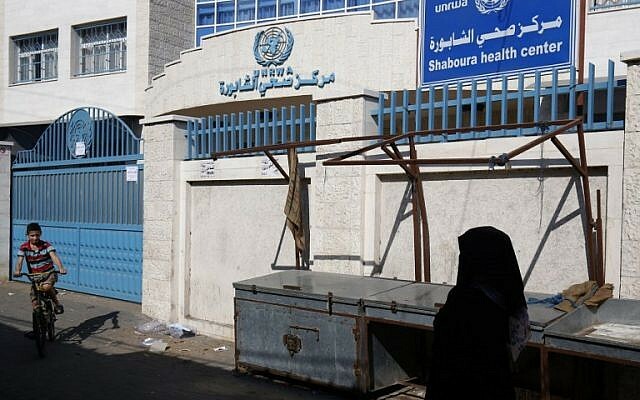 The report pointed out that there are institutions not been vaccinated in the buildings around the Gaza Strip into Israeli towns, despite a decision in this regard by the Supreme Court. The report also warned that the ability to defend the north of Israel is extremely limited, given the lack of immunization buildings. 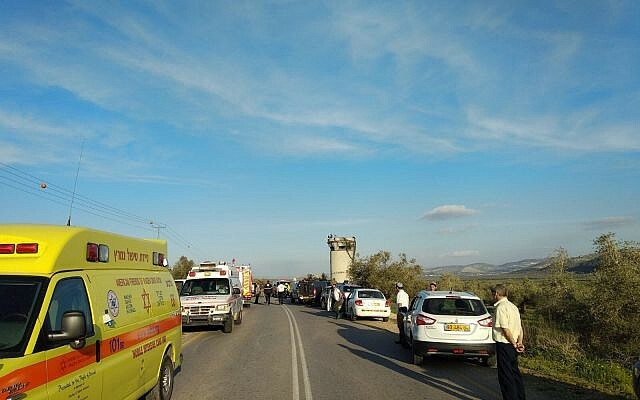 On the other hand, the observer’s report confirmed that the army and the Ministry of Security Ablora did not plan to evacuate towns in northern Israel and there were deliberations on the military and political levels about the gaps in the means of air defense of northern Israel. 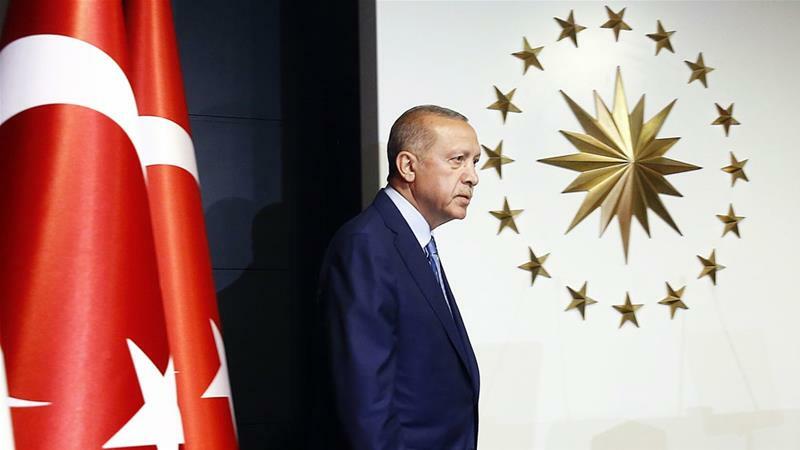 Also included criticism of the National Security Authority for being not pursued as it should implement the decisions of the prime minister, given that this matter of the roles specified in the law.